DEADLINE – Netflix has assembled a solid group of young actors to star in Let It Snow, a YA film based on the 2008 NYT bestselling book by The Fault In Our Stars author John Green, as well as Lauren Myracle and Maureen Johnson. Kiernan Shipka, star of Netflix’s Chilling Adventures of Sabrina series, Isabela Moner, who toplines the upcoming Dora The Explorer live-action film, Spider-Man: Into the Spiderverse’s Shameik Moore, and Dumplin actress Odeya Rush are attached as leads in the pic, which is being helmed by first-time feature director Luke Snellin. In addition, Jacob Batalon (Spider-Man: Homecoming), Miles Robbins (Halloween), Mitchell Hope (Descendants), Liv Hewson (Santa Clarita Diet), Anna Akana (You Get Me), and Joan Cusack (Shameless) will also star. Slated to begin production early this year, Let It Snow, set during a once-in-century snowstorm on Christmas Eve, follows several high school seniors who discover unexpected opportunities as well as complications that test their friendships, love lives, and aspirations for the future. Finding Dory scribe Victoria Strouse wrote the latest version of the screenplay. Dylan Clark, the producer behind Netflix’s highly viewed Bird Box film and The Planet of the Apes series, is producing the project via his Dylan Clark Productions shingle, along with Alexa Faigen. Exec producers are Beau Bauman of Dylan Clark Productions and Brendan Fergusom. Shipka is repped by CAA, Anonymous Content and Sloane, Offer, Weber & Dern; Moner by CAA and attorneys Peikoff/Mahan; Moore by CAA; Rush by CAA and MGMT Entertainment. Making the Rooftops short film with our best mates was crazy fun. 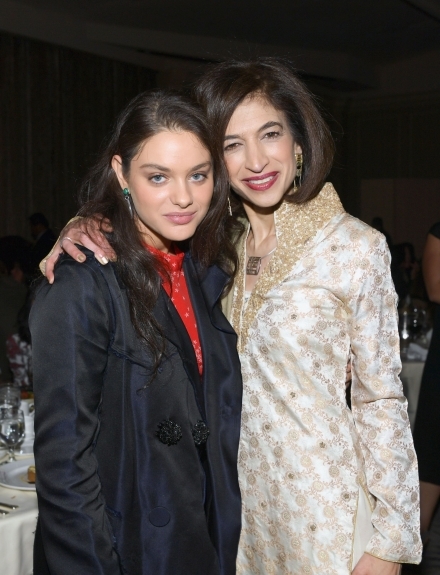 Odeya also directed!